Most people look at farmers and think one of two things; Either they are extremely poor or extremely well off. This can be true depending how you look at the lifestyle. The average age of a farmer in the United States today is 57. That means most of the farmers are aging out, passing their farms down, or selling out. To get into farming it is EXPENSIVE so EXPENSIVE, that is if you start out fresh with no resources. Some are lucky and will be handed their family farm at some point in their life. In that case, their livelihood is established and in most cases thriving (but not always). A man- a farmer- both Seth and I look up to and love more than he will ever know. 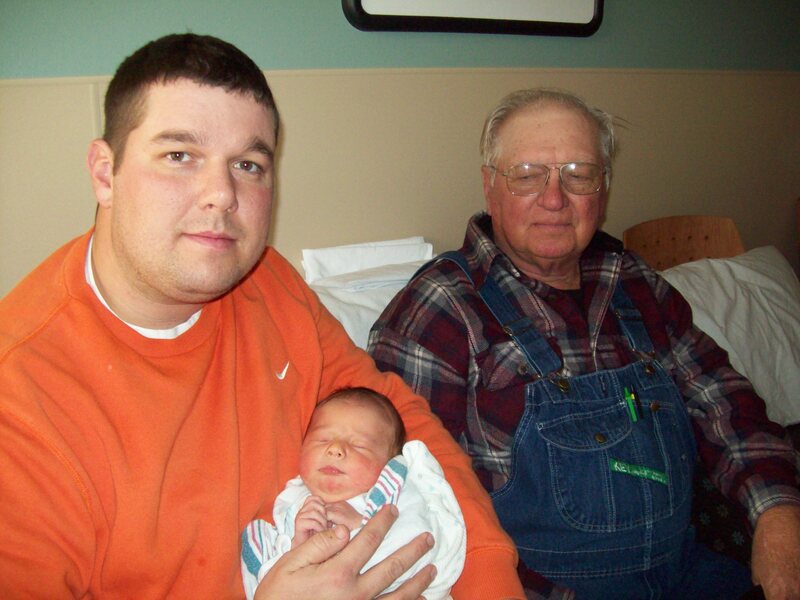 Three generations of farmers. Seth and I have been very fortunate to be able to use the Farm Service Agency to get our feet wet and start building slowly but surely. They offer many programs to help young or beginning farmers out, and I highly recommend that if you qualify, you should sign up. It’s low interest rates, someone monitoring your actions, and they won’t approve something if they don’t think it will work. 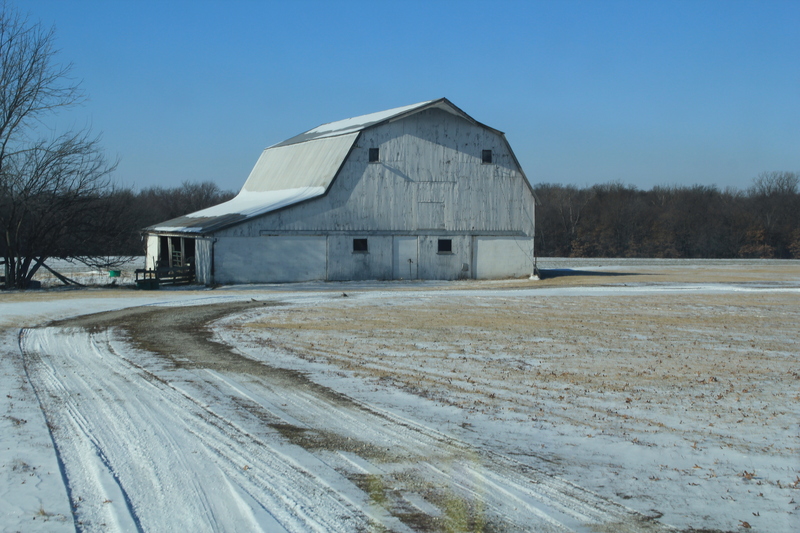 Using their program we were able to purchase our first farm at a lower interest rate than you would see at a bank or another financial lender. Along with purchasing all the cows we have so far. Many people on the outside looking in don’t realize the upfront cost to farming. To start up you have to have the ground. If you don’t own that ground you must lease it. Depending on what type of ground it is the price will vary. Pasture may be 60 dollars and acre and row crop ground can go anywhere from $90-180 acre just depending on where that ground lies and how bad you want it. 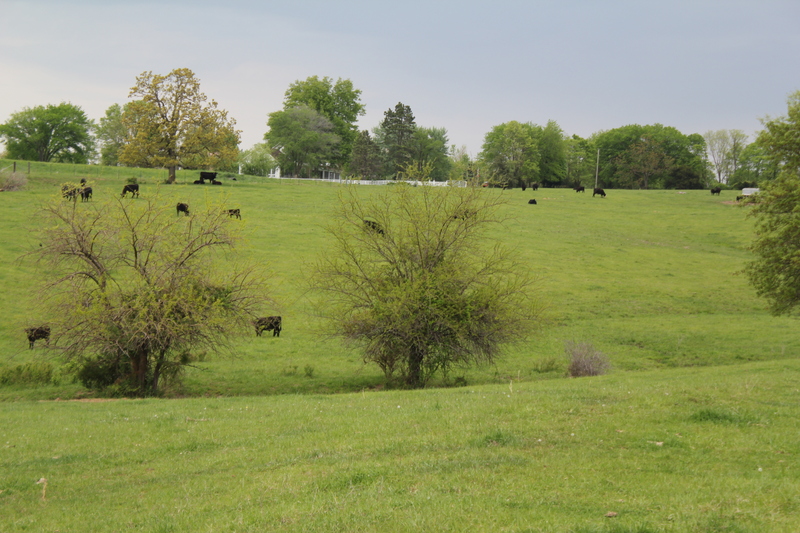 From there, if you are renting pasture you have to supply the cows to put on it. This can be anywhere from $2600-$2900 (these numbers could be off don’t hold me to it–just get the point its EXPENSIVE) for a bred cow. So lets say you rent 300 acres at $60/ac that is $18,000 in lease right there. Then you have to supply the cows you put on it. Say you put 100 head on it that is $290,000. What 26 or 27 year old has that type of money lying around? Of course any lender isn’t going to let you go that big that quick. Seth and I started with ten cows and we have just continued to grow year after year. We have been fortunate enough to buy a majority (not all) of our cows at a very reasonable price from his grandfather which has helped out tremendously. From there you have to have the equipment– trailers to haul them to the sale barn, a tractor or truck to feed them hay, some sort of 4 wheeler or side by side (not necessary but it makes life easier when it comes to calving), haying equipment, brush hog etc. You then have to supply the feed, the mineral, the vaccines, tags, etc. Am I griping that it is a lot of money, NO? You see going into farming you have to realize how risky the business is. You NEVER know what mother nature is going to throw at you. Like just a few years ago we had a terrible drought and were forced to buy HAY to feed cows before summer was even over. Or the freezing temperatures can make calving difficult if there’s no place to keep that calf warm away from the ice and out of the conditions. Or with row crops you never know how the weather will hurt or help your crops. For instance this year with all of the rain most farmers didn’t get all of their soybeans in. With BIG risks comes BIG rewards! Or that’s how it’s suppose to work. It doesn’t work like that all the time with farming but you hold on and hope the next year you can make up for the loss you maybe took the year before. I hope when our children are our age we are established enough so they don’t have to worry about trying to find the money to start farming if that’s the career they choose to take. Farmers and farm families persevere because that’s what they were taught and shown to do. I don’t know a farmer out there that wouldn’t do anything they could to keep the farm they have. It is a sense of pride to pass down something they have worked so hard for to the next generation, in hopes they will do the same. So to all those young farmers out there…..keep your calm and keep farming (or ranching). Keep your eye on the prize and remember it won’t always be this hard. 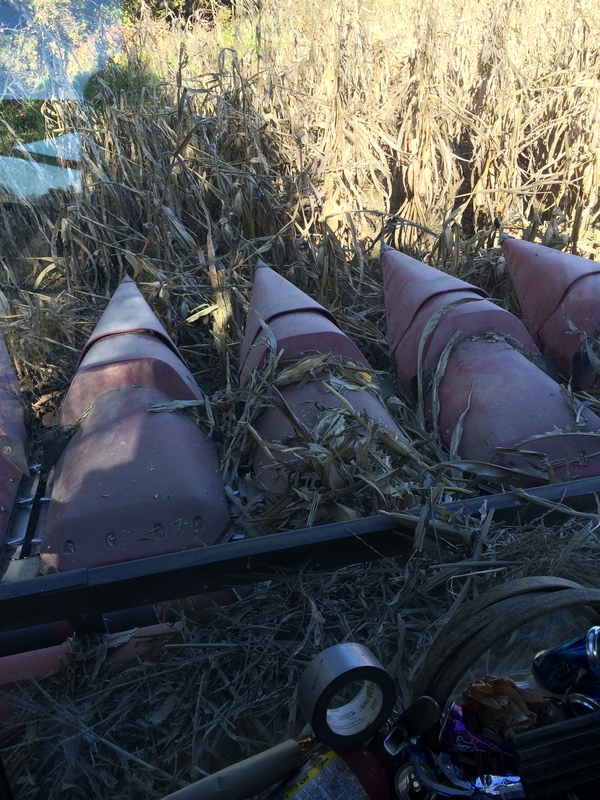 No matter how bad the harvest–I’ll always have my family!